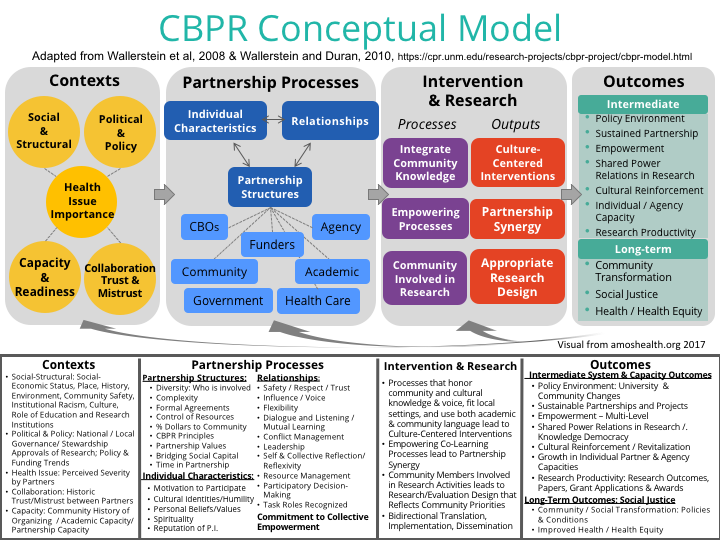 It builds from the recently-completed NIH study, Research for Improved Health (RIH), where staff tested our CBPR Conceptual Model; developed and psychometrically validated process and outcome measures with surveys of 200 partnerships; and began to identify promising practices associated with outcomes from our data. Available on the Research for Improved Health webpage are: RIH survey instruments; focus group and interview guides; project codes of ethics; publication lists; translations of the model in Spanish and Portuguese; and adaptations and use of the model by other research groups. CCPH supports Engage for Equity as a member of the national Think Tank.